Once upon a time in Jerusalem there was a church and Jesus blew through it like a breath of fresh air. I am slowly getting used to not asking what actually happened on that first Easter Day. It is a question which has burdened me from the early days of my theological formation and the incessant demands of secular thinking that will only believe in what can be backed by so-called scientific proof. So I am gradually getting used to asking more productively; whatever did happen, what is the meaning of Christ’s resurrection? 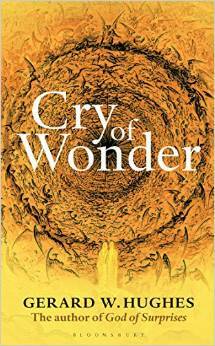 I’m continuing to read Cry of Wonder and this quotation sums up its core theme. It is to know and reflect on one’s own experience. He describes his own struggles to recognise this. Whilst he is clearly based within one of the Christian traditions, he does not regard it as a well-guarded sanctuary. Indeed he believes that when the Church seeks to exert her authority in relation to this is when God can be pushed out. “God is to be found in the ordinary, in the earthiness and messiness, the chaos and strife of everyday life”.